Could it be true? Hooks 2 coming? 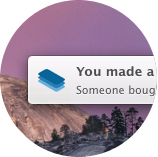 I just received a desktop notification because you scrolled to this point. Install Hooks on your Mac. Download Hooks for mac and register an account. Email and Password are required. 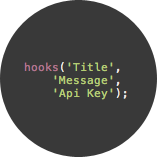 Title, Message and your API key. With just one line of code you'll be creating Hooks on your website. Sweet desktop notifications will occur with the content you've given to each Hook. Receive up to 500 notifications a day. 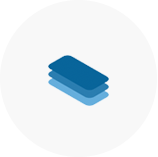 You'll be creating hooks on your website or web application in no time. * Free version pushes notifications about the song Baby by Justin Bieber every 30 minutes.